At the tail end of today's conference call relating to Verizon's Q1 earnings, Big Red's CFO Fran Shammo hinted that the carrier believes that offering three platforms would be positive in the smartphone business. 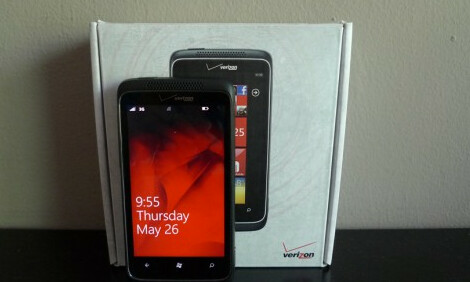 Currently, Verizon's only Windows Phone model is the HTC Trophy which dates all the way back to May 2011. This would seemingly be a good time for Verizon to jump back on the Windows Phone bandwagon. Despite Nokia's own earning report being tainted by the smell of desperation, CEO Stephen Elop noted that the U.S. market was one in which sales were better than expected for models powered by Microsoft's mobile OS. Verizon could end up with a Lumia model in its line-up. Currently, Nokia has two CDMA models, the low-end Nokia Lumia 610C and the mid to high-end Nokia Lumia 800C. Both of these models are offered in the Chinese market and it wouldn't be much of a stretch to have one or both models made available for Big Red's 4G LTE pipeline. I hope a Lumia does show its face soon. The Trophy is the lone offering and although its a great device it would be nice to see other windows phones go on Verizon. The Lumia is a very nice device. but it would have to offer LTE in order to actually sell. Verizon probably would not pick it up without LTE capabilities. yeah, they've already said that every new smartphone from now on will be LTE enabled but Verizon really does not have to settle for one of these. if Verizon tells Nokia they want a 900 then i think Nokia will jump through hoops to make one for them. I waited to long for Verizon to release a newer Windows Phone and wound up getting the Trophy. I love it, and am glad to hear they are considering adding more. Can't wait for WP8 to come out though for my next phone. Verizon should stop toying with the Windows Phone crowd and just do it. Save us the lower range phones and give us the big cheese, Lumia 900. Price it with a worthy subsidized $99 like AT&T has and we're in business. 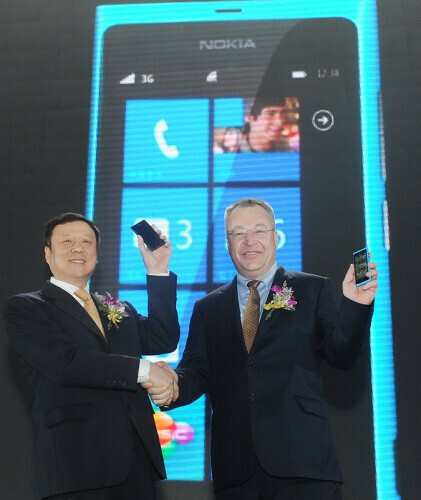 We're already seeing most distributors not being to handle the Lumia 900 orders. What more do you need in convincing? i hope vzw customers have an oppurtunity to pick up a nokia lumia device soon. been using my lumia 900 on att and i love it. the more windows mobile love across all carriers the better!!! Give Windows Phone a second chance? I'd argue they never gave it a first chance, LOL. i'd say you speak the truth my friend... one phone!? i'd like to have variety in my store. If a customer has a bad experience with Android they instantly go with Iphone. i'd love to be able to get a person into an easy to use phone that isnt an absolute piece of crap (including BAD androids....yes they exist) by having a mix of phones. excited for winphone, because even as an Android fan it will create honest competition for each company to strive to bring out the better! Yes. it has voice recognition. Yes it has a good GPS. Yes it has app. So your argument? Void. I don't know about verizon, but I want that damn Nokia Lumia 900 in Europe already! Gimme Cyan one please!